One of the biggest issues I have with iOS 7 is the volume change indicator that pops up every time you adjust the volume of a playing a game or video. Its large, oafish demeanor blocks the entire middle of the screen for a couple seconds, obstructing your view. Why Apple picked translucency over transparency we will never know, but they did recently take baby steps in improving this horrible feature. In the latest iOS 7.1 update, they removed the volume popup box in lieu of a small slider with other controls (though they are still translucent, just not as horrible), but it only works when playing videos in Safari. Thankfully, I hadn't updated to iOS 7.1 yet because it would break my jailbreak, and then I wouldn't be able to get rid of that obtrusive sucker for good. If you still have iOS 7.0, then jailbreak and follow along with me to see how to move it to a less distracting place. 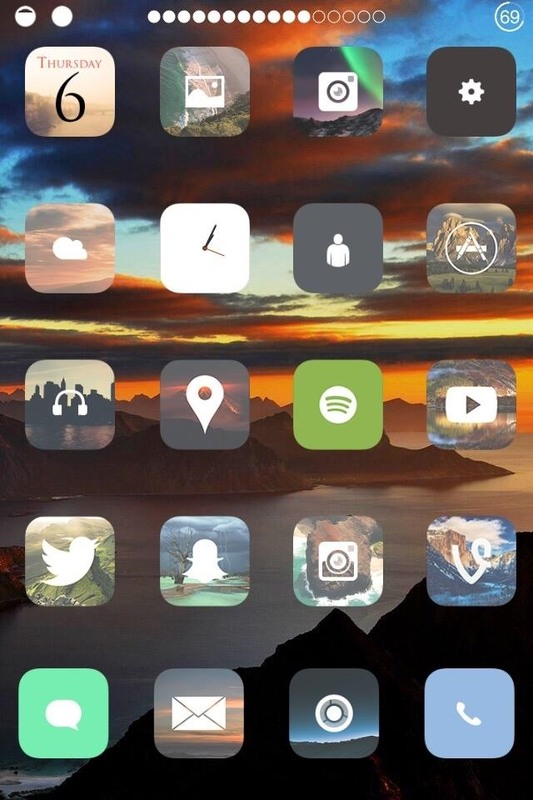 Head into Cydia, then search for and install StatusHUD 2 by Alan Yip. 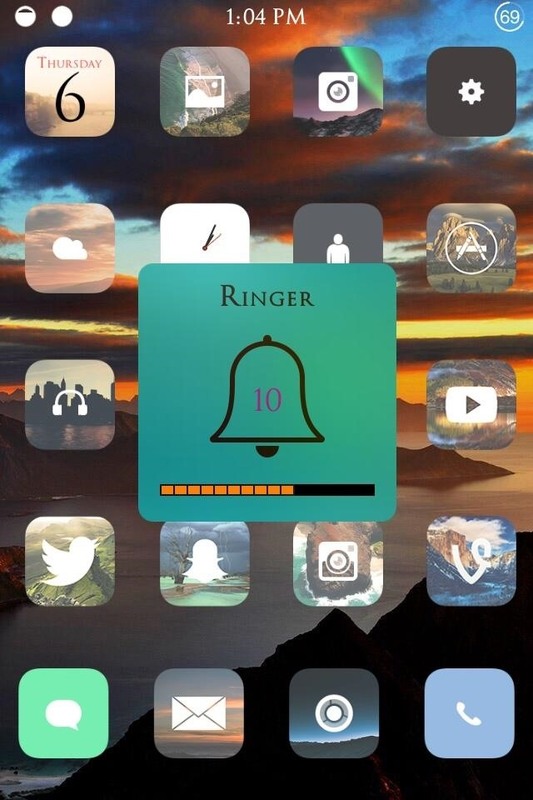 This app will physically move the obtrusive popup box up into your Status bar for distraction-free volume adjustment during videos in any app. 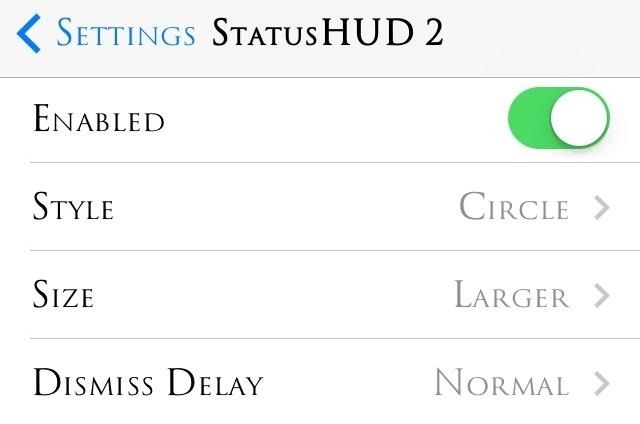 After successfully installing the free tweak, head into your stock Settings app, tap on StatusHUD 2, and toggle it on. The two styles available are squared and circular, with options to adjust the size and delay on the status bar as well. Once set, there's no need to restart your device because the tweak begins working as soon as you enable it. The new volume indicator stays up in your status bar momentarily (this can be adjusted by playing with "Dismiss Delay" setting) and is barely noticeable. No longer will adjusting your volume disrupt your view. This makes all of you 7.1ers wish you hadn't updated, right?